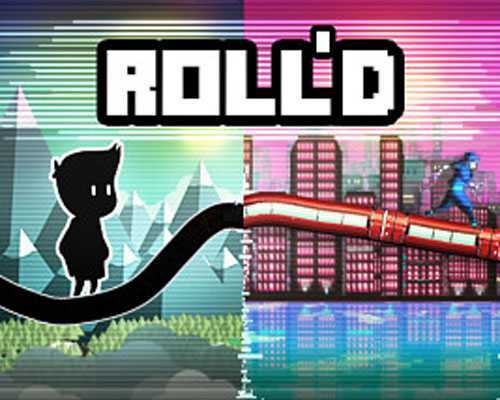 Rolld is an Action, Casual and Racing game for PC published by Forever Entertainment S. A. in 2016. Ready to enter an endless world? You’re facing an endless runner game. But it’s a bit different from the other runner games. You won’t control the character on your way. You have to make changes on the track to make it suitable for your character! It will be so much easy to make these changes at first. But the track will be more complex in the next levels. It means that the players have to get enough skills to be successful. All of the changes should be made in the right time. Otherwise, Your runner will fall down. As mentioned, Rolld doesn’t have any finishing line. But the gameplay’s velocity will get increased level by level. There are different characters that you can choose them in Rolld. Limbo’s famous character is one of them! Each character can handle unique situations in this arcade game. So, You should focus on the environments’ conditions to pick the best one. Rolld’s has both singleplayer mode and multiplayer mode. The developers have worked on the multiplayer much more than the singleplayer. But you need to get the original version to have access. You can also invite your friends by Steam to play Rolld in co-operation mode. This action casual game includes randomly-generated environments in pixel graphics. It seems a simple game but it’s really addictive! 0 Comments ON " Rolld PC Game Free Download "